I’ve gotten tons of questions lately from people who want to know my view on the new TLC show, “Extreme Couponing.” I want to share that with you today, but first, I want to be sure that you’re keeping in mind that this show, like every other, is motivated by ratings. The “extreme” nature is sure to attract viewers, and viewers attract ratings, which are the bottom line for any network. Tie up a checkout line for five hours. Accept massive quantities of the same coupon. Double coupons past the value of the item (i.e. moneymakers – this doesn’t always happen, it depends on the store). Allow the purchase of unlimited quantities on specials. Define Stockpile. Seeing the vast amounts of goods that the extreme couponers have stockpiled skews the picture of what a normal, healthy stockpile is. There are food pantries in America’s major cities that can’t compete with what some single families have stored in their homes (as revealed by the show). So what should a stockpile look like? Contained. Clearly, if you don’t have room in your home for anymore stuff, it’s time to stop stockpiling. If you’ve come to a point where you don’t have a family room because the grocery stockpile has taken over, it’s time to stop. When you are putting food and miscellaneous items in rooms in your home that can no longer function as they were intended, then where is the quality of life for your family? What are you teaching your children about what is important? Generous. We keep a box out in our garage where we “stockpile” for the next trip to our local food bank. I will put items in that box—not even carrying them into the house—after each grocery trip. When that box is full, it is given away. Time is money. An extreme stockpile is a testimony to accomplishment. But think about it: All the time and effort spent in getting all that stuff—stuff you don’t need—is just sitting there. You could spend half the amount of time, money, and energy in purchasing the items your family really needs. Honestly, you don’t have to spend all that time couponing. 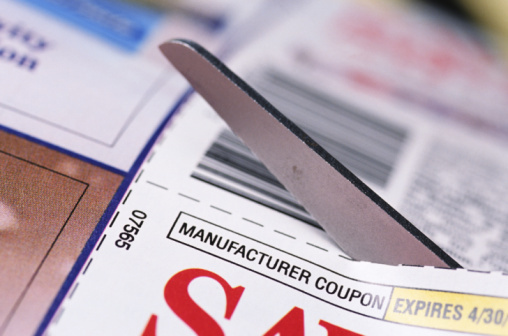 Couponing is definitely a great way to save money, but there are lots of other ways too! You have to think about your lifestyle, and you have to think about your family. 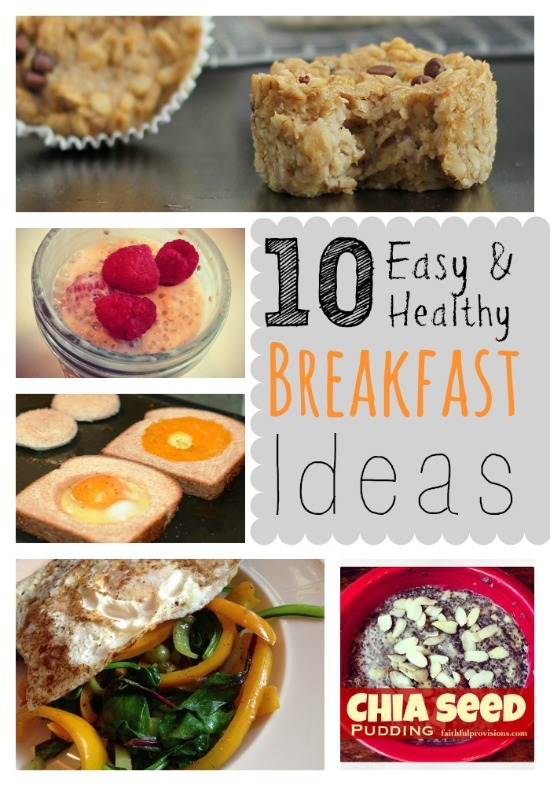 For example, do you want to eat more healthfully? Is a family member restricted to an organic or gluten-free diet? Then you’re not going to find as many coupons. 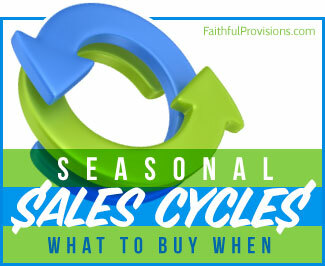 You’ll save the most money by purchasing what’s in season and on sale. And you may save more money by shopping at more than one store. Have you seen the show? What are your thoughts? I could not agree more! So much so that I am reposting! I no longer watch the show, (this after only the pilot and premier episode). It has given the responsible, ethical and Christian couponer a stigma that we now have to explain. Thank you for sharing!!! Great post, Kelly! People who know I coupon ask me all the time what I think about the show and most of my thoughts aren’t positive ones. When I hear them say “an item is usally at its rock bottom price every 10-12 weeks” and then see them buy three years worth of something, my first thought is HOARDER. I would NEVER feel great about clearing a whole shelf when I know there are people who have even smaller budgets than I do who could use some of that product. Most of them are not feeding their family very healthy meals (so they might be spending more money in the long run at the doctor’s office…)and they’re giving up precious family time to buy unneccessary items. Also, one of the best parts about couponing is being able to give away so much or put together items as gifts for friends and family, and I’m not seeing a whole lot of this on the show. I completely agree with your thoughts Dana. I feel very conflicted watching the show and this is why. On one hand, I get re-motivated to put in the work to save money for my family. But on the other hand, I feel embarrassed to be associated with those that are taking so much so that others can’t take advantage of the same opportunities. All of their stories on the show start out by telling about the background of their families and how they were forced to find a way to save money because of unfortunate financial situations. But now these people have no problem clearing the shelves of the products on sale and depriving others in that situation of being able to take advantage of the same deals. Why have they forgotten about the people that are in the same situation they were at one time? If I get more than 2 or 3 of one item that I don’t use as often (pasta, toothpaste, body wash) I will put it in our “donation box”. However, the LDS church advocates, and I do believe in having a year’s food storage of non-perishables built up in case of financial emergency. (My husband and I are young, and are just beginning our food storage). This food storage is meant to be rotated in with your regular menu so that nothing goes to waste. Also, the more likely scenario is that if there is a natural disaster in your area, you can help out a TON from your year’s food storage. As for storage space.. well sometimes you have to get creative, but I would never let it take over living spaces. I have never actually watched the show, but I have seen pictures on the website of people hauling away trailer’s worth of body wash and cereal. Even I think that’s absurd, and it does make people who coupon all look like a bunch of crazies. I would like to see someone try to get 1000 dollars of food for 50 bucks without buying tons of prepackaged foods and candy bars. The carts usually do not have milk, fresh vegetables and fruit, or meat in them. You can save a lot of money if you buy junk, but quality food is many times more expensive with little coupons or sales available. One lady got tons of ckes free and I rarely see soft drink coupons. Plus using multiple email addresses to get extra coupons is unethical to me. What a great post! I have only been “extreme couponing” for a few months so I am still trying to build our family “stockpile”. We have 4 kids, preschool, tween and 2 teens, plus their friends. I’ve had to redefine what a stockpile is in our household lol. For example, we go through 1 jar of pb, 3-4 gallons of milk and 5-6 boxes of cereal a week. I can see how people can get obsessive about it, but I am trying to keep a healthy balance by focusing not only on my family, but donating and sharing with others as well. I agree with everything you have said here, although I must say that I have been much less disappointed in the show lately. I especially liked the Bible student who was couponing solely to give things to the shelters and how it showed his entire room completely cleared out at the end. I also liked when they showed Nathan a second time donating all the items for the troops. I think the show is doing better, at least (maybe I’ve numbed to it?). I don’t think I will ever be that “good” nor would I care to spend the time to be. But it does make me want to do better. =) I always try to keep in mind that they spend alot of time taping these people and only 15 minutes of it ends up on tv so you know its highly edited, and who knows what else happened that they aren’t showing us? I like the show but for entertainment value. I know it’s not realistic. Heck, I rarely even have a cashier who is friendly to me once they know I use coupons. It’s TV and I take it as that. But like you, I always have a donate box set up. It’s in my front hall and I put stuff in there each week. Like all of the free mens products and free baby formula I get. I also frequently sign up for samples with my box in mind. I don’t have a baby but I know diapers and food are expensive. So when I can snag those items for free, I do. I am so glad you’re addressing this! I posted on my blog after the show first aired too. I think that couponing is such a wonderful tool, it allows me to stay home from work but it can become a job if you aren’t controlled. I always say that you should coupon to live, not live to coupon! I take a box of donations to our local ministry that supports the food pantry, womans shelter and foster home at least every two weeks, sometimes every week! It can be very easy to become a hoarder once you start getting those body washes for free! After explaining to the local ministry how I obtain all these items for free or next to free they started calling me the coupon lady and even had the director write to me thanking me for using my coupon skills to help those less fortunate. I remind myself everyday how blessed I am to be fortunate to help those in need. I visit your site every day and it is you that inspired me to donate. I do clip extra coupons and get extra items and I always smile and tell the cashier “These are ALL getting donated!” Thank you for being such a wonderful person!!! I LOVE what you have to say about this. I am all for shopping, finding deals and living within our means as wise stewards. I do however have a hard time with watching these folks have a huge and seemingly unusable stockpile which can expire or go to waste. At the least, so many of the stockpiles seem to control the house. Very sad. Thank you for bringing a great perspective. I appreciate your web site and all you do. It is a fantastic help to me as I take care of my family. I have so much left to learn. Thank you for helping me! Thank you so much for the concerns raised in your blog. I agree that this degree of couponing is not only unhealthy and exaggerated, but unethical. It seems that many of these families’ occupation is couponing, rather than a strategy to help alleviate the burden of food costs within the family. I am a SAHW w/ 3 small children. I definately embrace couponing and stockpiling based on our family’s needs, but it distrurbs me to see the massive stockpiles without giving to those in need or stealing newspapers out of people’s driveways. Thank you! While I hesitated to bring up the following comparison, my mind keeps coming back to it. In my college years, I teetered on the brink of gambling addiction. I loved the high of the win, and when I wasn’t winning, I was craving the next fix. By God’s grace, I quit cold turkey, but I still remember how that high made me feel. In some ways, its not unlike getting a really great deal couponing. (I wonder if a study could be done to see if the same parts of the brain are stimulated?) Anyway, I am careful to watch myself and go by many of the same ideas Kelly outlined. I refuse to let stockpile obssession take away from my family time because that’s no kind of life! Its just my husband, myself, two dogs and five horses, so its pretty clear I don’t need to stock diapers even though the deal is wonderful. That being said, I will mention that the high I received about a week ago was the best ever. We live very close to the Alabama tornado devastation. Dipping into the stockpile for hygene products (toothbrushes, paste, soap, shower gel, tampons, etc) was a no brainer! One box became, two, etc, and the next thing I knew, hubby volunteered to drive. Tomorrow is the USPS food drive. Now that’s another “high” I look forward to feeling! BTW…Kelly, I enjoyed seeing you on Fox 17 and appreciate all your hard work teaching and giving to the community. God bless and keep it up! I’ve often wondered about that very same thing, Joan. Btw, I am giving you a virtual standing ovation!!! By the grace of God alone, all of my family in AL was spared; some by mere feet. A few friends were hit/impacted, but none lost their lives. (I don’t think I have ever prayed so hard and so long in all of my life.) Many were not as lucky and lost all worldly possessions. Thanks to people like you, they can start rebuilding their lives. I too will be headed that way very soon. So many places hit, I just haven’t figured out where to take the items-as in who needs them the most. What frustrates me about the show is that you are NOT going to get FREE ITEMS in areas where they do not double coupons. No store in my area doubles coupons, nor do they give money back on overages (moneymakers), so there are limits to the savings. The closest I have come to getting “Free” items is through CVS’s “Extra bucks” program, which gives you a credit to spend on future purchases. I love a good deal on things I use, and I’ve gotten “nearly free” toothpaste, beans, and a few other cheap items through being savvy with coupons & deals (thanks to this site here! ), but the idea that you can go in and haul away 100 bottles of energy drink or 200 rolls of toilet paper absolutely free is just ridiculous and not possible. I have found the same thing. I’ve only bought Charmin at Kroger once in the past 2yrs. That was only because I had a $2 or $3 ecoupon plus a paper coupon that could be doubled. It made it very cheap. Other than that one time, I use Member’s Mark toilet paper from Sam’s which to me is better than the name brands. It is soft and doesn’t have all that paper dust flying when you spin the roll. I am so happy you posted this! I started couponing at the beginning of March and then I noticed on TLC the show Extreme Couponing. I watched a few show to get some tips and organization ideas and when the show was over I found myself disgusted and angry. One guy 1000 tubes of toothpaste. My family of five in one hundred years could not use that amount! One woman had a ton of cat food and she didn’t even have a cat! I agree that is time better spent somewhere else! I was glad to read your thoughts on that show . . . I find it interesting and have watched it a couple of times, but I have mixed emotions about it. There is something thrilling about seeing someone get such a large haul of groceries for such a small amount of money . . . and it makes me wonder if I could do it, too. However, from what I have seen of the show, it takes an incredible amount of time to do . . . both matching the coupons and for the shopping trip itself. As a homeschool mother of four (including a 19-month-old), it is ridiculous to me to think of doing something that would keep me “out of commision” for that long. Moreover, what grieves me is that these people stockpile years and years worth of things that they will never use. I kept thinking, “Why don’t they give some of it away to a food pantry or something?” I did see the episode about the guy who gave a truckload of cereal to a food pantry and it sounds like there have been some other similar episodes. Alot of it smacks of greed and the thrill of the hunt to me . . . something that I have probably been guilty of as well. I think Kelly’s guidelines for stockpiling are excellent to keep in mind to avoid the hoarding mentality. Thank you for your thoughts, Kelly. Thank you for writing this! I tell my readers this all the time!!! It’s great to get 200 FREE toothbrushes, but you can’t eat toothbrushed for dinner and if you’re going get that many, I hope you have at least 50 sets of teeth in the house! I hope people always remember to donate!!! What good are we if we don’t share what we’ve had the blessing of learning? I’m sooo glad you wrote this for your readers. This show, while I admit it is quite entertaining to watch, actually ends up making me frustrated when it’s over. Why? Because, wlthough I’ve been couponing long before it was the norm and know the couponing strategies well and have a comfortable stockpile for our familys size, I still feel like I should or could be doing more. I wonder how it makes the newbie couponers or ones who don’t yet feel? My guess is discouraging and overwhelmed and I even had one woman in line behind me at Wal-Mart confess that her husband is now pressuring her to coupon. She said she wants to start but says that to bring home massive hauls like that overwhelms and terrifies her so THAT makes me mad that this show is giving people false impressions. Sooo… I gave her my two cents shared your blog and a few others and encouraged her to start small. I love couponing, but the extreme that some of these people go to is almost insulting. There is no one that needs palates of stuff just because they have obtained that many coupons (some by dumpster diving with their children). I too donate a lot of food and other items that I am able to acquire through couponing, but this show takes it to the extreme. The idea of hiring a babysitter to sort and/or use your coupons just does not make sense to me. I am someone that always saves at least 50%, but I buy items that we need to eat well including meat and produce that I may not be able to use a coupon on. Sure, I could probably save 90+% if I only bought the items that I could get for almost free, but is that really the best thing for my family? My ultimate goal is to save more so that I can give more, but I want to do it responsibly. Thanks for your post and the posts of your readers – I am glad I am not the only one that feels this way. That show completely intimidates me. Heck, I would just like to figure out HOW to use coupons (I am seriously not good at it!). I started watching the show to get ideas, but to soneone who doesn’t know the how’s, it makes couponing look unrealistic, and unattainable! I would love just to get the hang of it and then use it to bless others. We live right around the corner from Camp Creek, TN devastated by the tornado’s and this would truly be a cause I’d donate everything to! I meant to say in the last sentence that I’ve never heard managers & cashiers applauding. I agree with the above ladies. I would love to have a stockpile of certain things because we don’t know what each of our futures hold and why not get it cheap when you can. I love the idea of being able to share with my daughters or donate. I like the extras this time of the year because grandkids will be spending days with me in the summer. There is definitely a high or sense of accomplishment when you get something for almost nothing or at a really good buy. It could be addicting. I cannot imagine having my shower taken over by toilet paper or taking my kid’s rooms over. No one can use as much tooth paste as some of them have and we all have certain types of deordorant and things we like so just getting it because it is free is crazy. I do agree with the stay at home Mom who said it is her way of contributing. Yes, where are the fresh fruits, vegetables and meat not just premade products for the freezer. I loved the ministry guy that couponed ethically to donate, but i hate the unethical…coupon fruaders. Jaime Kirlew for example. Now it makes it even harder to coupon. Also can I dare to mention that some of these people look like their blood pressure and bathroom scales could stand for them to miss a few deals? I remeber one lady was just her and her husband and she serioulsy had obvious signs of high blood pressure, pre diabetes and probable sleep apnea. I always find it interesting that nearly everyone on the show says “This is the biggest shopping trip I’ve ever done.” Well of course it is! It’s all for the show! I have watched the show. I believe I’ve seen each episode. What we now need is a show on Strategic Couponing/Shopping–ways to utilize coupons and planning to save the most that you can for what you need. Yes, Extreme Couponing does highlight people who have gone way over the top buying enough of things not needed to serve armies of people. Yes, it’s all about ratings (would anyone watch a show about a woman who saved $15.00 off her shopping trip of $80.00?). But, one thing the show has done is encouraged people to rethink using coupons. I used to use coupons regularly and hunted the best deals at more than one store. Then, the wonderful grocery strike hit southern California. I had to shop at odd places to keep from crossing picket lines. Coupon clipping went out the window. After watching the show I bought a binder and supplies and started organizing my coupons. I made out a thoughtful meal plan and grocery list. A trip that would have normally cost me over $100 cost less than $85. The show has even caught my husband’s eye and he asks me if I have coupons before going shopping. @ Leslie ~ Kroger does double coupons (at least for now and continuing only in certain areas). BUT, for every coupon they double, the “double” part of it comes out of the stores pockets, so to speak. My husband and son both work for Kroger and believe me, it really isn’t exciting to the managers to see someone come in and walk out with a huge amount of items that the store, in general, took a loss on. I think that a lot of footage on TLC’s EC is staged. Well, that explains why one Kroger here will only accept 3 coupons of the same item; ie I buy 8 cans of biscuits but can only use 3 coupons per manager. Biggest problem is that is even if they aren’t double type coupons. Some of my friends came to me and asked me about the show because we are avid couponers. My opinion is that there is no real need for everyone to purchase that many items and the show seems to make everyone that uses a coupon look ridiculous! My husband and I could very easily be seen as “Extreme Couponers” based on the amount that we purchase monthly, but we do have six children aged 4-14. Our needed stockpile is quite different from many families. We always buy in large quantities, and as a one income family, we need the discounts the coupons provide! I was at my local Kroger last week and was surprised to find out that they will no longer allow us to us e-coupons loaded to the Kroger card in addition to a paper coupon. When I questioned the manager his response was, “If you have ever seen the show Extreme Couponing you would understand why. People are taking advantage of a good thing.” This just goes to show that one person can ruin it for everyone. We are in a good place with our couponing efforts to save money and we do bring home free items from time to time. If there is a sale that we can really benefit from, we will work harder to get the coupons we need. We don’t take it to the extreme of buying something that we never use or don’t need, and we don’t hire babysitters to watch our children so that we can coupon or shop. That kind of defeats the purpose of what your doing. They need a disclaimer to the show that “these results are not typical”, because they are not. There have been times when I have used a coupon for every item and still only saved 50%. It makes me appreciate the times when I can save 90% on my bill. Kelly, as always very well written and excellent points! My concern is that manufacturers may become less generous with coupons b/c of the show… The show is fascinating but not motivating b/c these people buy extreme quantities of crazy things just to “save” so I completely agree with you about buying what you need not buying b/c you have a coupon! I agree with the post in it’s entirety, WELL WRITTEN! I am trying to get better about couponing and have come a long way since reading faithful provisions! You are an inspiration, THANK YOU! I’d like to only pay seven cents for my groceries. But, I find that the coupons that come in my Sunday paper are for things I don’t need. Very few are what I will use. Often, it is still cheaper for me to buy the store brand, even with the coupon for the brand name item. I completely agree with you. I am a single mom and if I did not coupon, I would not be able to pay for my daughter’s “extra” fun things we do, but I also am not extreme. I get what I need and at a really good price or free most of the time, so that if there is something my daughter wants we can afford it. :o) I love couponing but I won’t sacrifice time with my daughter for it. Things that I don’t need that I stumble upon at a really good price or free I donate to a food bank or women’s shelter. I think teaching my daughter to give is just as important as teaching her to be wise with money. I am not that good at couponing. I do better at the buy 1 get 1 free sales. I can’t see stockpiling things your family doesn’t need or more than your family can use in a designated time. After all what is the use of spending money and not using things or having them expire before you can use them. Thanks for sharing your post, because I think you have a balanced way of thinking about this and we could all become hoarders if we aren’t careful. Yeah, i’ve never seen the show but that is the most irritating thing: to organize all your coupons, go to the store and the shelves are empty. i had that this wknd where i went to 3 different Krogers to get the free Nivea and they were all out and the coupon expired–so couldn’t get a rain check. I agree with so much posted. I used to be a little more “extreme” (not the shows kind of extreme); but last years flood showed me that it can all just wash away in a few brief moments (it was a sad sight to see). The show is extreme and they have definitely picked out what they wanted to show. What has amazed me is that the show has not mentioned that many of the couponers featured are resellers. Most of them give more to charity than it shows, and many of them sell their stockpiles in order to bring in an income. I think like anything, it can become an idol in our life. We just need to keep ourselves in check and remember that God is our ultimate provision. i agree with your points .One thing I noticed was so many flyers ,where are these coming from ? sounds like something illegal ,we don’t get hundreds of flyers to have so many multipules on hand. Most prinable sites only let you print out 2-3 tops . also what about expiration dates ? you can’t save forever be cause the coupons exspire ,so does the food ! Too much is hoarding or greed ,both very sinful. I buy a few extra to keep things low cost ,then use it or doante to our church pantry. i watch for dates and if things cget close ,out it goes to someone who will use it . free is great ,but I am not loading up on a hundred on one item ,even if it’s free. I like to watch she show just because it shows me what I do not want to become. I have noticed it is hard to collect so many coupons, but I have a neighbor who gives me hers. I get what I need and a little more just until the next sale. Okay I do have a lot of cake mixes and brownie mixes, but its my way to unwind when I am stressed. I also like bringing them when I n can to share with people in my church. The people on the show are way out there. Its a unhealthy show if you ask me, buying more of an item they will never go through, loosing space in the house to their stock pile, look at how some of them have there children help (dumpster diving). Is this a good thing clipping coupons to save money, but doing i in this extreme manner in front of our children. We want to save money, do the couponing the right way and teach our children something valuable, not something to this extreme. Like mentioned above I feel this show is eventually going to ruin if for everyone. And with our family totalling 5 with one income we need all the help we can get. I never see these people buying fresh produce or vegetables and like mentioned above many, sadly are overweight. The foods highlighted in the show are prepackaged, have many preservatives and cause a lot of health problems. If I bought things like that for my family then I might be able to pay mere cents for a few hundred dollars in groceries. My kids love to help wih the coupons and even like to hear the outcome of what we may pay on an item. It’s a great way to teach your children to be frugal however, we want them to be healthy, too, and I do not see giving up my or my children’s health just to brag about what I didn’t pay for. I would love to see more donating on the show or people buying healthier fare with good discounts. Actually, it would be better if the show were eliminated period….this way those who need coupons and discounts will still be able to continue providing for their families instead of worrying about the changes that may take place in a store because of these thoughtless coupon hoarders. Seems to me that given the way this show has impacted how stores (and their workers) react to coupons in real life, that we’ll probably never see Triple Coupon days ever again. I just read most of the posts…and couldn’t agree more. on the other hand with a house hole of 8 children i use to rely heavily on coupons.As life changed I used less and less.We now have 5 children in the home, and find ourselves in a very serious position dealing with major med bills and 2 children and mom facing huge med bills due to Muscular dystrophy, Parkinson’s, and a recent bout with breast cancer..We have No reserves,and are living on about 60.00 a week for groc/that includes pet food, and paper supplies…so we need the help of all of you couponers out there to help us get grocery’s in the home, as our med bills are bound to go up. we really need dinner items, beverage’s, juices.pasta sauce, soups,pet foods,cleaning supplies especially laundry soap,FROZEN veg’t,pizza’s,cereal’s, we skip cookies and such, as we just don’t have the money..shampoo, toothpaste, any vitamins,tin foil,canning item’s and supplies.I am hoping to get some help as this week with new tests coming in we will have about 40.00 tops for groc..we don’t qualify for any help, so please don’t suggest it. The other is underwear,Hanes! !,summer clothes for younger children,got idea’s I am anxious to hear them please. thanks for reading. It may be a coincidence but I have seen some coupons that have almost always been the same amount now changing to lower amounts. Was wondering if this was a direct result of the show by manufacturers. I watched the first several show but no longer have been watching it. How many buggies of deodorant do I need to see? 🙂 (I do coupon with things that I normally buy and use. The most I’ve ever gotten with Krogers double coupons is around $30.00. Thanks for all your good info. I wondered about the lower coupon amounts myself. I haven’t been collecting and using coupons all that long but I’ve noticed the same thing. The other day I cut out a coupon for Tide for 35 cents whereas it seemed that they used to be around 50 cents. Hrm…thanks again, Extreme Couponing! I agree, I seems like a lot of them are just being organized hoarders! And that is not good either. I can’t hardly wait until the show goes away! Before the show, I was usually able to find most of what I wanted at my local stores- now I have to wait or try back multiple times. Boo TLC & EC for ruinin it for us regulars! My method for couponing is to stay within the limits of your local store, don’t clear shelves, and keep your trips reasonable. Just because I may have 15 of a coupon for an item doesn’t mean I need to get them all at the same time from the same store on the same trip. I think the show doesn’t accurately show the heart that most couponers have for those who have less. One of my favorite parts of keeping a stockpile of useful items is that when someone I know needs something I usually have a few extra to share. . It may not be much, but it’s what I have and I’m happy to share. I guess the show wouldn’t sell as well if it were ‘average jane/joe couponer’. Personally I’d rather be thought of as a coupon ninja- not a half-crazed coupon junkie. What I don’t see on EC is how I shop. I’m never going to buy huge multiples of the same item I am using coupons so I can afford to bring food into the house. So I have a shopping list of anywhere from 15 -50 items. I try and get coupons for a well-balanced week’s to couple of week’s supply of groceries. I would love to see someone show me how to maximize that effort. The other thing about EC not already mentioned about is that they don’t really give you any real couponing tips. TLC, if they really cared about consumers,, ought to have links to how to coupon, coupon databases, coupon matching websites etc. But there doesn’t seem to be anything. It is unrealistic, builds false hopes of people who are really in need of savings and is really frustrating to watch. I cringe when I even see the commercials for this show. Like you so nicely put it, it is TV and it is for ratings. I feel as though I need to apologize every time I am in the store or people find out I use coupons, etc. What they show is very unrealistic on so many levels (as has already been discussed in this thread). It makes it hard for me to teach classes on couponing because people are either disappointed when they find out it they will not have the same results as on TV or…they will not take the class because of what they see on TV. I like to call what I do (following the guidelines and such much like Faithful Provisions) as “Strategic Saving”. It was birthed from my desire to go to one salary in our home (my husbands) so that I could homeschool our youngest son and run our non-profit outreach (Sharing Hope Foundation, Inc.) that we started in our community that helps our homeless and hungry neighbors in need. My strategic saving has helped me do it all…and we incorporate it into Sharing Hope, as well. Not only do I incorporate these classes into our program (teaching our clients free) but also offer it to the public at a nominal charge so that we can help others see the need for saving for your family and giving to others in need. Also, I am able to maximize the financial donations that we get so that when I need to supply toiletries or other necessities to clients and I don’t have any tangible donations on hand, I am able to stretch our donation dollars. We have a new website being created and it should be going online this week and it will have a lot of information about our classes, as well as links and such to help our supporters and others, guided by our faith-based principles….awesome! Thanks so much for your site; it is a breath of fresh air! !